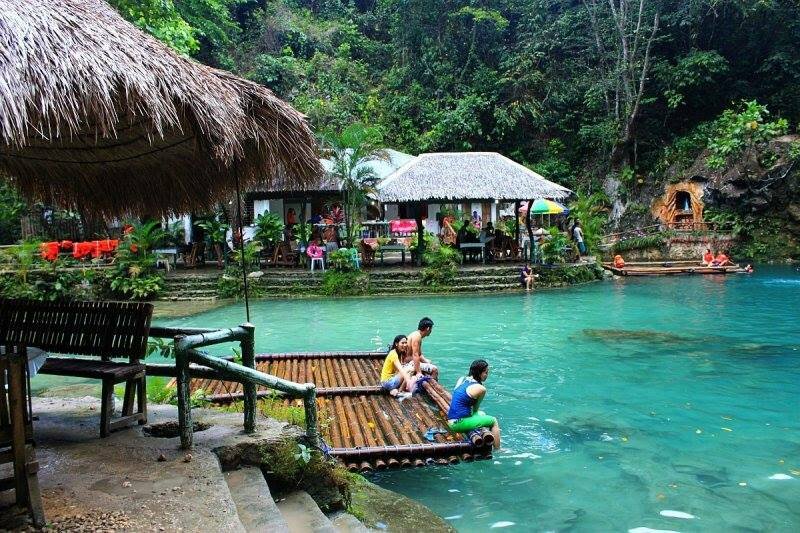 Kawasan Falls is amongst the most popular waterfalls in Cebu and is located in Barangay Matutinao, Badian. It is also an hour away from Moalboal, which makes it an ideal nature side-trip after a day at the beach. Kawasan has two main waterfalls that are both deep enough for swimming. The first set of falls has a height of over 40 meters, while the second set has a wider area with a height of 20 meters. There is a small third fall, a few kilometers away from the second one but is rarely visited by tourists. This waterfall adventure will take your breath away. Kawasan fall is the perfect combo of nature and adventure. It’s found within the mountains of Cebu, Philippines. The journey of adventure begins with a walk down a natural jungle path. Five different people come to you and go along with you, will provide you life jackets as well as helmets. After crossing jungle you will see a turquoise blue river and the water looks so clear and rich in color. It’s the main attraction of this place. An obstacle course is provided by mother nature, where adrenaline seekers journey through hidden canyons. Jump off a number of cliffs and slide down natural water slides into crystal clear water. Kawasan waterfall has three tiers of waterfalls. But the best selfies happen in the first tier. End your adventure by relaxing by the falls or riding through them for an intense but refreshing massage. Then eat in the presence of paradise. 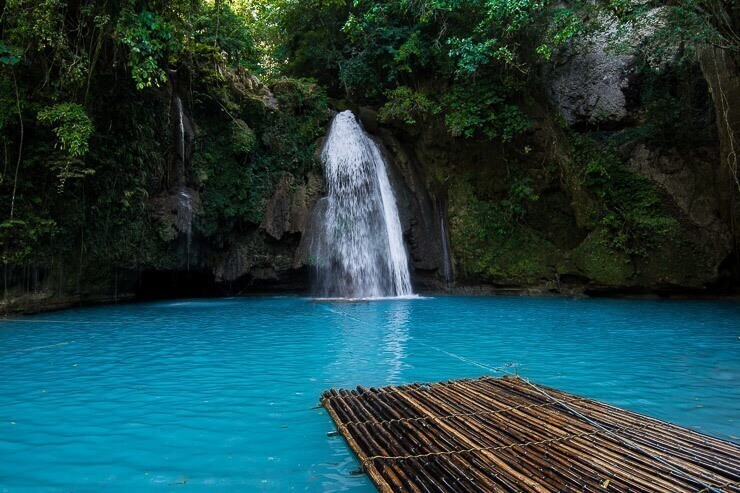 These Philippines are definitely the worth chasing waterfalls.